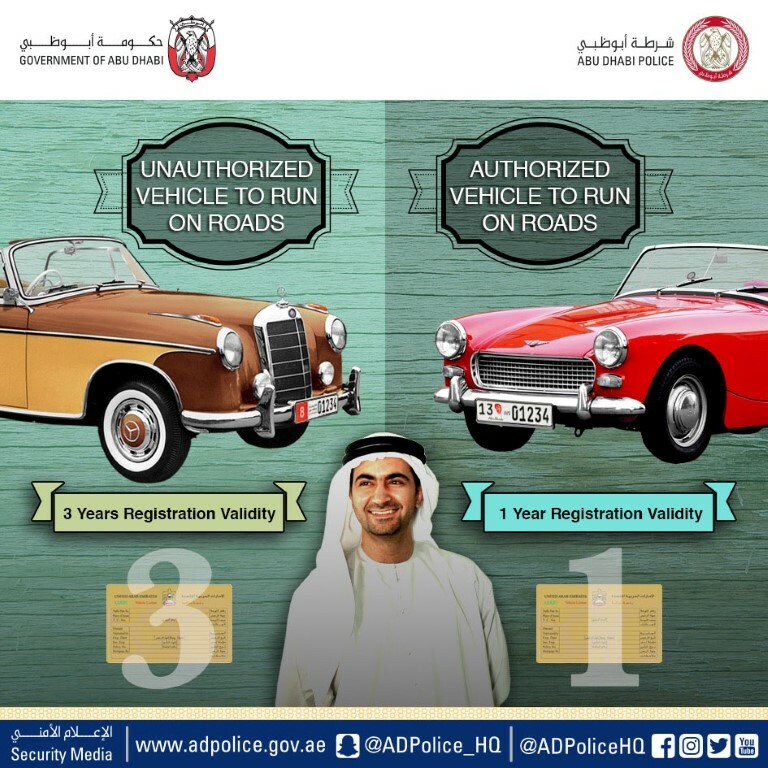 ABU DHABI, 11th August 2018 (WAM) - Abu Dhabi Police has announced that as of 1st October, new regulations for registering classic vehicles will be implemented after the technical tests and issuance of the insurance policy. Under the new system, classic vehicles will be classified into two categories, the first of which is a one-year registration for vehicles that can be driven on all roads for a registration fee of AED400 and a renewal fee of AED350, provided that the vehicle has a 13-month insurance after passing the technical tests. The second category covers vintage vehicles that are displayed at exhibitions and other events but not fit for use on roads. The registration of such vehicles requires an insurance policy and technical tests, in addition to a three-year registration fee of AED1,100, or a renewal fee of AED1,050. The registration document for this category will clearly state: Not allowed on roads. The vehicle must be moved only on a recovery truck specially designed for the purpose.